babus of india: Know Your Babu: 1984 batch IAS Ramesh Negi may be new chief secretary of Delhi; who all will he supersede? 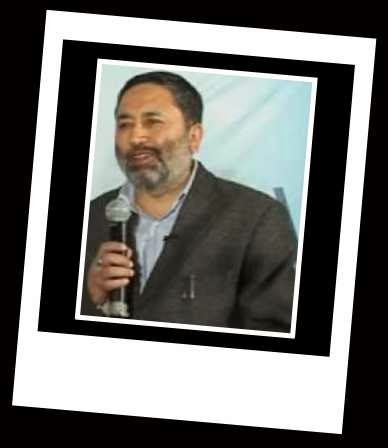 Know Your Babu: 1984 batch IAS Ramesh Negi may be new chief secretary of Delhi; who all will he supersede? If the Appointments Committee of the Cabinet (ACC) headed by the prime minister gives its nod to Kejriwal’s recommendation, Negi will be the next chief secretary in Delhi superseding about 10 officers of AGMUT cadre. The officers senior to him in the cadre include Anand Prakash (1979 batch and current chief secretary of Andaman and Nicobar Islands), Naini Jayaseelan (1980 batch), Sanjay Kumar Srivastava (1980 batch, and the one who was made chief secretary during AAP’s 49-day rule), Vijay Shankar Madan (1981 batch, and Mission Director of UIDAI under Central deputation), M Sathiyavathy (1982 batch IAS, and additional secretary in ministry of civil aviation under Central deputation), Ms Nutan Guha Biswas (1983 batch, and principal secretary to Lieutenant-Governor Najeeb Jung), Kewal Kumar Sharma (1983 batch, and additional secretary in the ministry of women and child development under Central deputation), Jitendra Kumar Dadoo (1983 batch, and joint secretary in union ministry of commerce, under Central deputation), Lalmalsawma (1983 batch IAS, and present chief secretary of Mizoram) etc. Negi has been serving as chief secretary of Arunachal Pradesh since January 31, 2014. In the state, he has also been handling subjects such as power, finance, planning, home and vigilance etc. Prior to his Arunachal posting, Negi was the Chief Executive Officer of Delhi Jal Board where he was credited with improving Delhi’s water distribution and developing sanitation infrastructure, something which has possibly impressed Delhi’s new political leadership, leading to his recommendation for the state's top post.